Rosie MacLennan won Canada's lone gold medal at the 2012 Olympics, so it's only fitting that she helped her country exceed that total in Rio. Rosie MacLennan has qualified for the final in women's trampoline, and will look to defend her Olympic gold medal this afternoon. 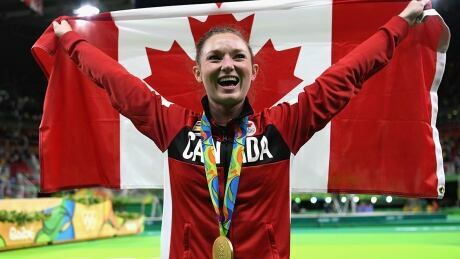 Trampoline gold medallist Rosie MacLennan grew up with the Olympic spirit, but it was her grandfather's passion for gymnastics that truly drew her to the sport. 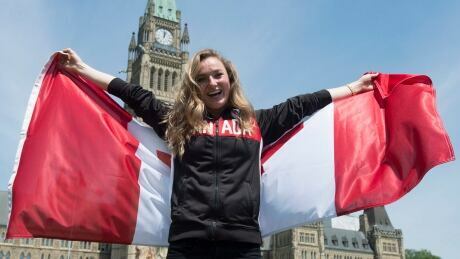 Rosie MacLennan was officially named as Team Canada's flag-bearer for the opening ceremony at the 2016 Rio Olympics. She shared some of her thoughts following the announcement. 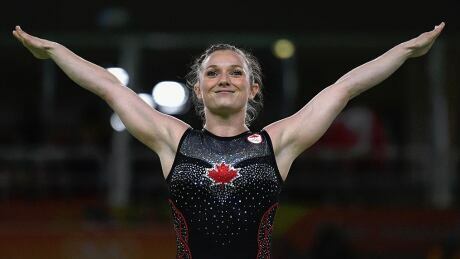 MacLennan posted the second best score of her career with a 56.660 in the final, just behind her gold-medal performance at the London 2012 Olympics. You are currently browsing the archives for the Sports/Olympics/Rio Olympic 2016/Trampoline category.